I love North Beach, in San Francisco. It's so touristy it's kitschy, and because of that, it kinda has soul. Kind of like an old Italian grandma who likes to wear rhinestones (spoken like a Spy who has a grandma who likes to wear rhinestones, no?). And the bakeries are old-school, with the rows and rows of butter cookies that seem to be the hallmark of an Italian Bakery. So when I visited Stella Pastry, I chose a sweet assortment of these sweet treats to sample: a rainbow sprinkled butter cookie, a pignoli cookie, and a russian teacake (I am not sure what they call them in Italian?). Now, it's hard to say this without sounding like I'm making a jab, but let me try. These cookies are typically not the standout menu at Italian bakeries--for instance, at Stella, they seem proudest of their Sacripantina slice. Frequently, these cookies are somewhat dry (not to say they are stale, just drier in texture). It is that they are wonderful to look at, taste like sweet nostalgia, and always pair beautifully with milky coffee. Even if you don't have a glitzy Italian grandma, for a moment, you can pretend that she baked these for you. 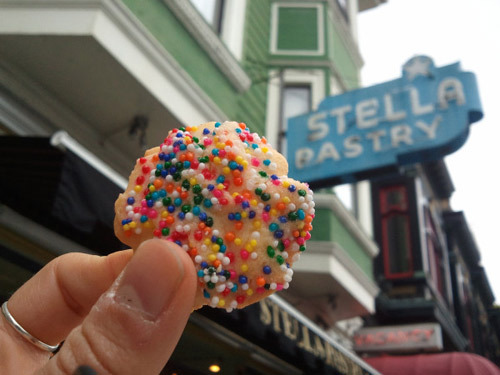 And you'll get that sweet treat with a kick of nostalgia at Stella Pastry. 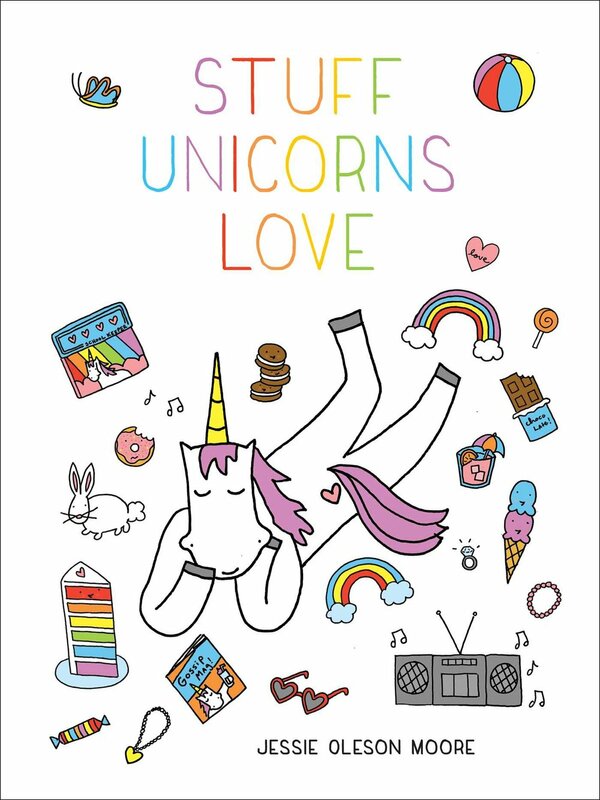 So go visit! Stella Pastry, 446 Columbus Ave, San Francisco. Online here.